…Regardless of all that, I am particularly groggy upon waking to the alarm these last couple work days. My body feels rested. My brain feels unready for the new day. I’m doing my best to properly wake up, to be thoughtful, coherent, ready for the day. So far this is more an exercise in effort than any sort of effective achievement. A moment in the garden on a summer evening. I sip my coffee and contemplate the summer heat. The garden isn’t as lush as I’d like it to be. Summer heat. I’m often away all weekend. The time taken to water during the week, before work, and again in the evening as the heat slowly begins to fade to cooler night-time temperatures, really makes a difference when I’m not at home to do it on weekends. This past weekend many of the roses bloomed in what seems a rather early second blossoming of loveliness and fragrance. I take a moment to feel grateful to have gotten to see it. This year, just one flower. 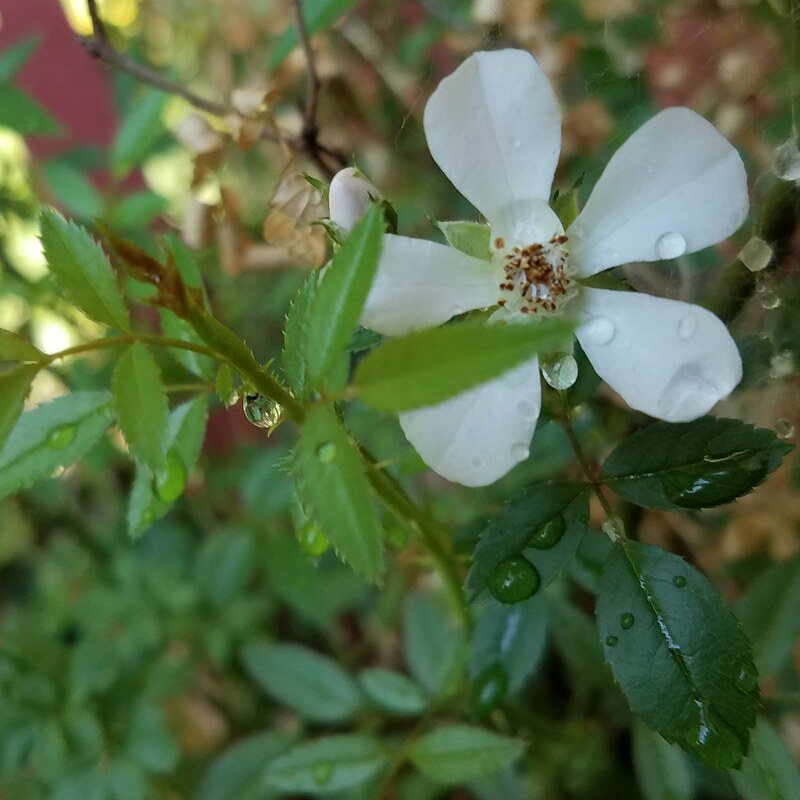 Peeking out from the summer foliage, a single flower blooms on Nozomi, a delicate miniature rose that is a long-time favorite that I’ve had since… 1993? This year she’s only bloomed this once; she is usually among the most prolific bloomers among my roses. 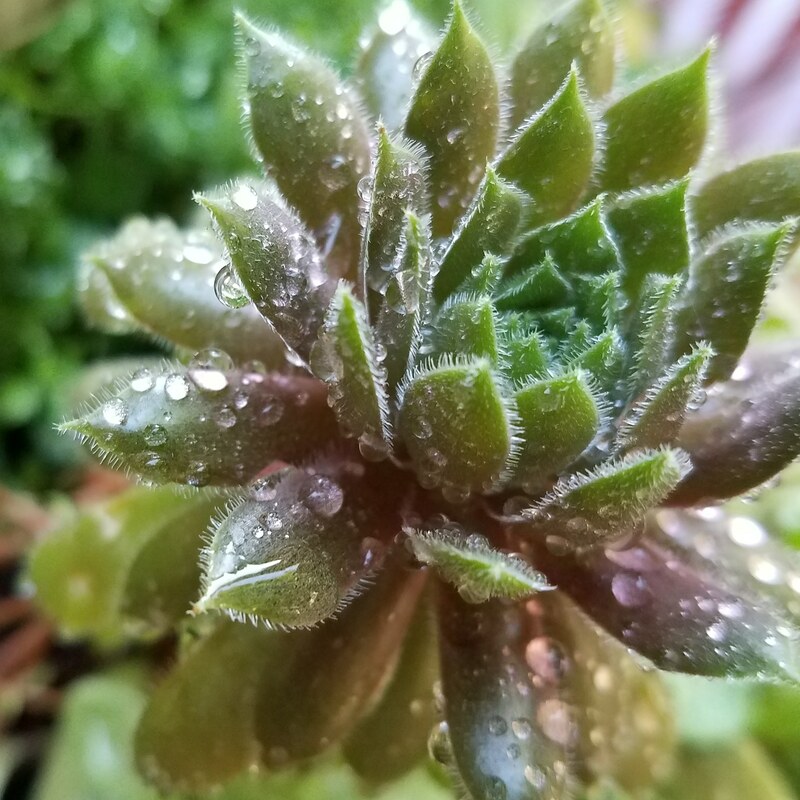 I make a mental note to re-pot her this winter. “Feeling overwhelmed” is an experience fairly common to being human. Seems more common these days, for more people, although I’d begun to experience it much less myself. Starting in November, 2016, it has become, once again, plenty common for me, as well. “It’s all just too much” is the feeling. I give myself a little internal moment of real understanding, because, as feelings go, the most appropriate response to the feeling of “it’s all just too much” is simply “yes, yes it is” followed by “we’ll get through this, together”. A deep breath. A sigh. I move on from the moment; every moment passes. I think over an interaction with a friend from earlier this week. She was feeling overwhelmed to the point of tears. “It’s all just too much!” A moment of sympathy and support rather quickly became quiet frustration and puzzlement, as it became apparent that she was investing in her feeling of being overwhelmed by building that and growing it, rather than sorting it out and easing her own suffering. Attempts to support and help her weren’t seeming either supportive or helpful, as she quickly interrupted anything helpful, soothing, or perspective-offering, (that could have just as easily been used to calm herself) to reinforce her self-inflicted, home-grown, utterly subjective internal experience with quick contradictions, veering tangents, and distractingly vague exclamations of distress. She quickly shored up her powerfully negative narrative each time I attempted to bring clarity or calm to the shared moment together. So frustrating. Eventually, the time-sensitive nature of schedules and calendars intervened. I went on with my day. She went on with her tears. I am still puzzled at the whole thing; it’s hard to fathom someone not actually accepting the help and support they’ve sought out. I still just don’t get it. Tags ACT, breathe, choose wisely, emotional self sufficiency, experience, get therapy, good self-care, MBSR, mental health is also health, mindfulness for beginners, no seriously take care of you, OPD, perspective, practicing the practices, ptsd, sufficiency, taking care of me, TBI, The Art of Being, The Big 5, there are verbs involved, walking my own path, what matters most?